ACG members recently met with SEC Chairman Jay Clayton to discuss the role of middle-market private capital in the economy, and on Wednesday, Federal Reserve Vice Chairman for Supervision Randal Quarles testified before congressional committees, prompting discussion about the Fed’s oversight of large financial institutions. Members of the Association for Corporate Growth met with Chairman Jay Clayton of the Securities and Exchange Commission on Oct. 8. Clayton, who has served as commissioner since January 2017, was previously a partner at Sullivan & Cromwell LLP, where he specialized in mergers and acquisitions. Under Clayton’s leadership, the SEC has turned its focus to “Mr. & Mrs. 401k,” otherwise known as retail investors. The SEC has continued to focus on issues surrounding capital formation and general investor protection as well. ACG members emphasized the importance of middle-market private capital and properly tailored regulations. ACG looks forward to working with the chairman and the commission to obtain regulatory clarity and to further facilitate capital formation essential for middle-market growth. Federal Reserve Vice Chairman for Supervision Randal Quarles testified in front of the House Financial Services Committee on Wednesday as part of his semiannual testimony, and at the time of writing, he is testifying in front of the Senate Banking Committee. Conversation largely revolved around the Federal Reserve’s oversight of large financial institutions, and the Community Reinvestment Act. 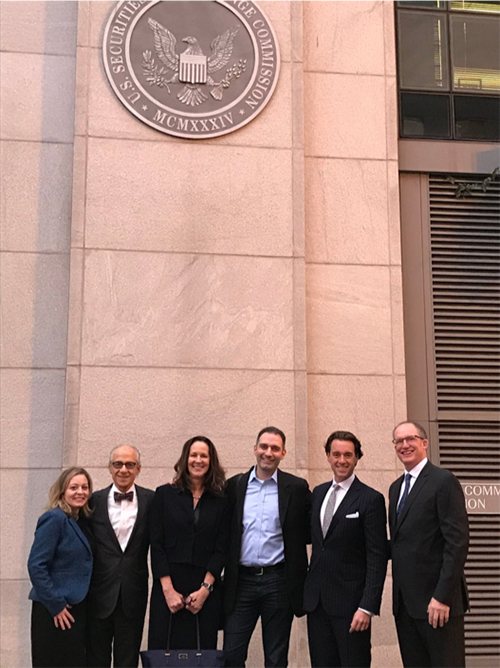 Of interest to ACG’s membership were discussions surrounding the Volcker Rule, which is intended to prevent banks from engaging in risky behavior through short-term, proprietary trading using the bank’s deposits. In practice, the rule has proven to be complicated and burdensome (ACG recently submitted a comment letter on the subject). In particular, Rep. Bill Huizenga, R-Mich., and Rep. French Hill, R-Ark., expressed support for H.R.4790—bipartisan legislation passed out of the House (and sponsored by Rep. Hill) that would streamline the regulation and enforcement of the Volcker Rule from five agencies to one, the Federal Reserve. The Federal Reserve announced this week that it will start issuing a new report twice a year to track the financial system’s stability. Starting Nov. 28 the report will track potential financial vulnerabilities, and the Fed will publish the reports every spring and fall. The reports are a part of the Fed’s goal of filling in the gaps in bank regulators’ assessments of the industry’s health, something it has implemented since the financial crisis.